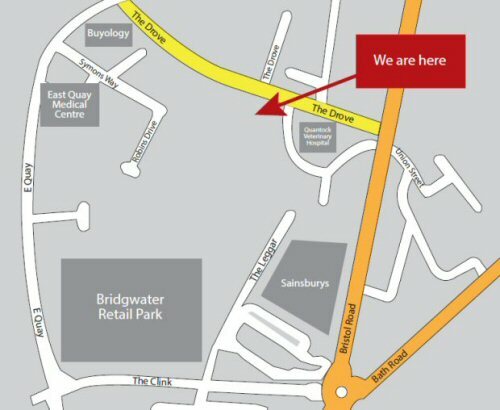 Motability cars in Bridgwater. Some with nil deposit. Fantastic motability car prices in the Bridgwater and Taunton areas with nil deposit. Even if you don't quality for the Motability scheme, there are huge discounts available throughout the range. Struggling to get out and about? Why not let us come to you? Have you been hit by unexpected bills for repairs and servicing and can’t afford to buy a new car? Are you finding the price of insuring and taxing your car is going up year on year? We may be able to help. If you are in receipt of either the Higher Rate Mobility Component of the Disability Living Allowance (DLA), the Enhanced Rate Mobility Component of Personal Independence Payment (ERMC PIP), or the War Pensioners’ Mobility Supplement you probably qualify for a Motability scheme car. 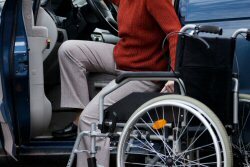 Don't want to be on the Motability Scheme but are a Blue Badge holder? Click here and qualify for exclusive Motability scheme discounts for you and your family. 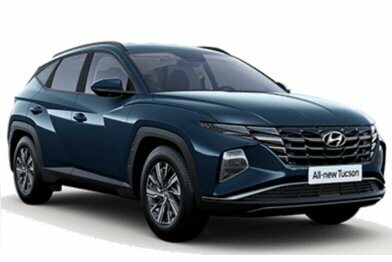 For Motability car prices and more information about Motability scheme cars in Bridgwater visit Stacey's Motors showroom, or simply click here. Motability Cars Available Register Now! 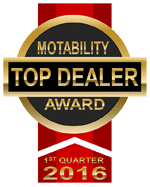 Stacey's Motors are consistently praised for our service and we have been awarded 'Top Motability Dealer in the South West' for the first quarter of 2016, beating 288 other dealers! It is fantastic to see Stacey's being recognised for their exceptional Motability performance in 2016. 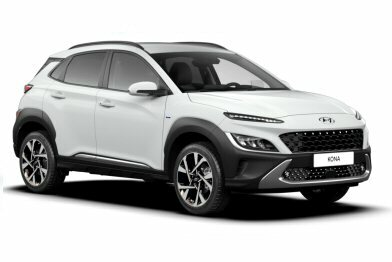 To beat hundreds of competitors to the award emphasises the level of Motability expertise in place at Stacey's and the excellent service offered to customers. 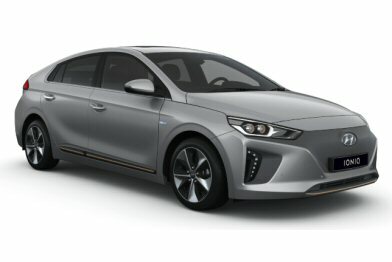 With Hyundai Motability sales up over 50% nationally in 2016, it is extremely pleasing that along with the increasing numbers of customers joining the brand we are also leading the way with customer service and performance levels. 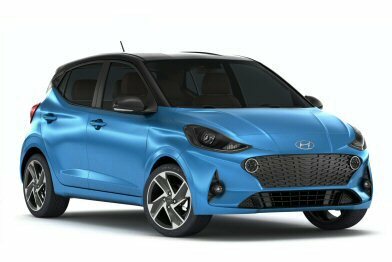 We offer a fantastic range of Motability cars for sale for disabled drivers in the Bridgwater area with a higher rate of disability living allowance and enhanced 'PIP' payment (personal independence payment). Motability vehicles are designed for handicapped drivers who may require a wheelchair, or who have difficulty using vehicles that are not designed with disabled car users in mind. Stacey's Motors Motability have fantastic Motability car prices, with some Motability cars at nil deposit. If you are doing a Motability car search and looking for a Motability cars price list, contact us today for more information. 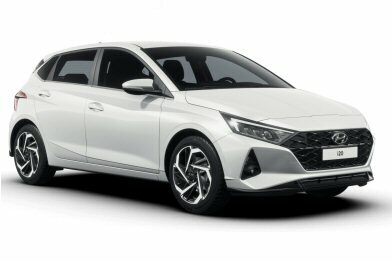 We often have Motability offers, so if you are a disabled driver who is interested in the Motability scheme please click here for more information or call us on (01278) 458400. (The above links will take you to the main Stacey's Motors website). © Copyright Stacey's Motors All rights reserved.